We have asked you about your pain points and you have told us how we can assist. 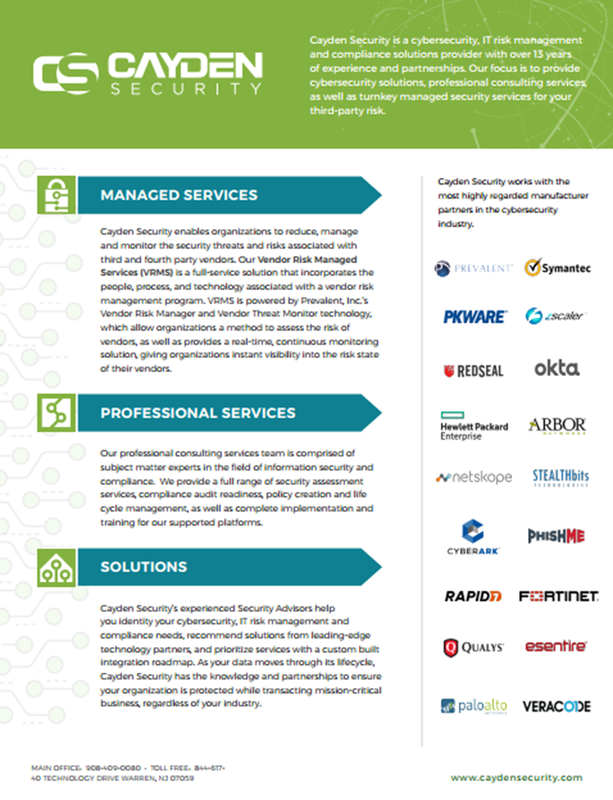 Download this one-pager to find out what Cayden Security has done in response. We are proud to announce that as of January 18, 2018, Cayden Security has been acquired by The SCE Group of Companies. With both Facebook and Google losing a combined $100M to Business Email Compromise in 2017, it’s important to be able to identify how BEC works and what members of your organization can do to protect against it. While some organizations choose to outsource their Vendor Risk Management programs, others choose to manage a tool or build one themselves. Whichever you decide, there are roadblocks associated with each path. See where you stand. As cybersecurity concerns continue to grow for organizations, IT departments and C-suites are often left prioritizing needs and managing budget to protect against all potential threats. One threat not receiving it’s due and being overlooked by many organizations is a Distributed Denial of Services (DDoS) attack. 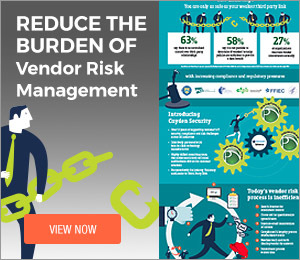 Learn how Cayden Security helped this organization meet their third-party vendor assessment deadline, while working within the organization’s mature third-party risk management process. A checklist of essential processes and technologies organizations should follow to effectively protect their systems. Cayden Security is helping organizations guard against Ransomware attacks by providing a list of best practices, and vendors that offer top products to assist. Symantec’s Data Center Security (DCS) is an agent-less hyper-visor based security system that gives organizations the opportunity to adapt their security frameworks. Learn how DCS can benefit you.